Cargill is producing hamburger patties for McDonald's restaurants across the West Coast. FRESNO, Calif. -- The next time you enjoy a McDonald's burger, you might just be eating a burger made in Central California. The Fresno facility is playing a big role in feeding hungry McDonald's customers. 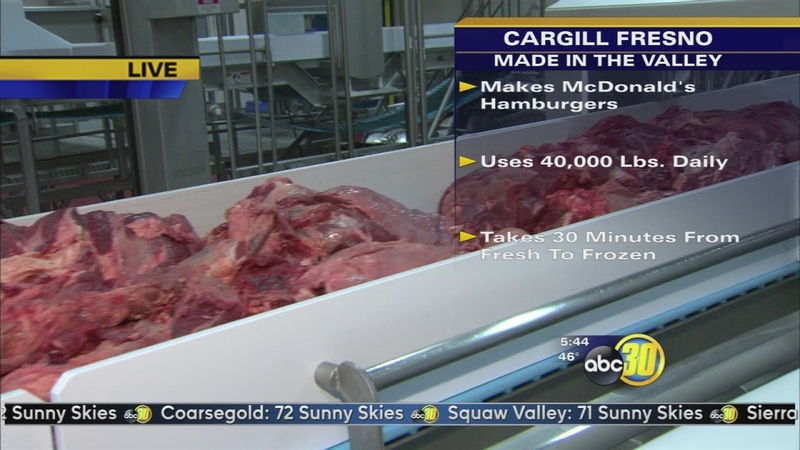 Four million hamburger patties are made a day at Cargill's Fresno plant. 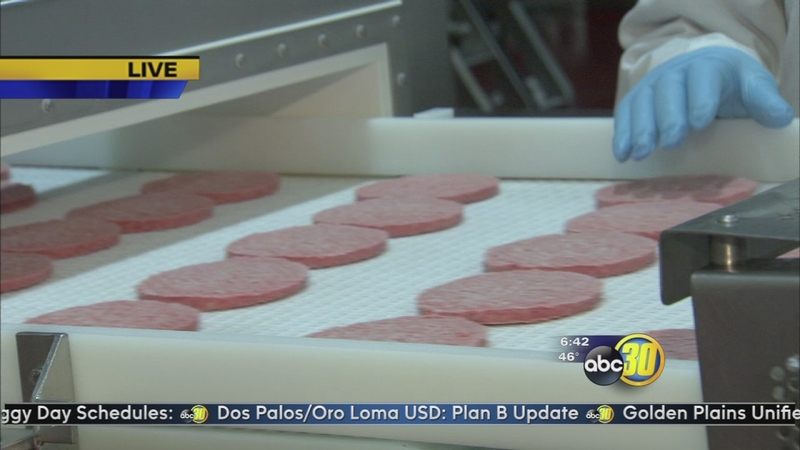 Fresno factory makes McDonald's hamburgers for millions of hungry people. The beef patties are made with beef cuts such as the chuck, round, and sirloin. Inside the plant, the beef is ground, formed and frozen to maintain quality and flavor. 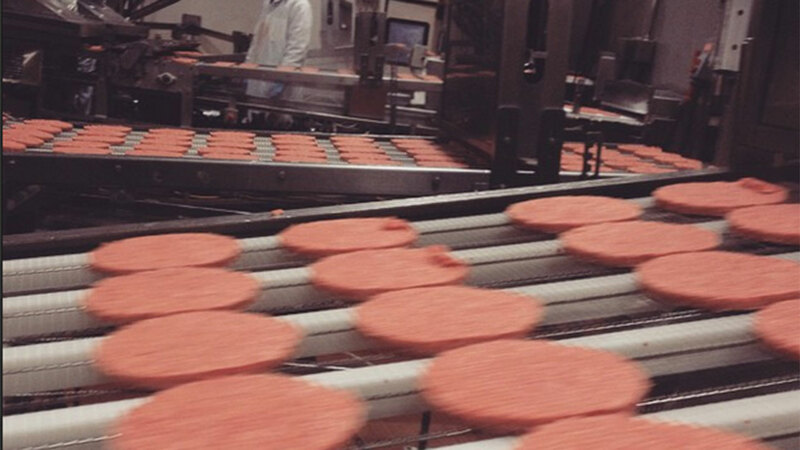 It takes 400,000 pounds daily of 100% pure beef to make the McDonald's burger patties. It takes 30 minutes for beef to go from grinding to finished pure beef patties that enter the flash freezer. The plant ships 10 truckloads of McDonald's hamburger patties from Cargill's Fresno plant daily. Those burgers are cooked and served at McDonald's restaurants in California, Alaska, Hawaii, Nevada, Oregon and Washington. The Cargill Fresno plant was started in 2008 to serve McDonald's by providing beef patties to its restaurants in six western states, but Cargill has been in the beef business in Fresno since 1938. The Fresno facility employ 160 people. 2015 marks Cargill's 150th anniversary. The company began in rural Iowa when William Wallace Cargill purchased a grain warehouse in 1865.